Edited by Ingrid Schmid . Advances in cell biology have always been closely linked to the development of critical quantitative analysis methods. Flow cytometry is such a pivotal methodology. It can be applied to individual cells or organelles allowing investigators interested in obtaining information about the functional properties of cells to assess the differences among cells in a heterogeneous cell preparation or between cells from separate samples. 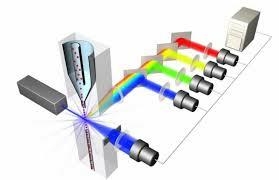 It is characterized by the use of a select wavelength of light (or multiple ones) to interrogate cells or other particles one at a time providing statistically relevant, rapid correlated measurements of multiple parameters with excellent temporal resolution. These intrinsic attributes, as well as advances in instrumentation and fluorescent probes and reagents, have contributed to the tremendous growth of applications in flow cytometry and to the world-wide expansion of laboratories which use this technology since its inception in the late 1960s. This publication reflects these facts as indicated by the global author panel and the wide range of sample types, assays, and methodologies described. The compendium will give readers a historical perspective as well as the current state of important topics in flow cytometry. Openly accessible, the book is intended to introduce novices to this powerful technology and also provide experienced professionals with valuable insights and an opportunity to refresh or up-date their knowledge in various subject areas of flow cytometry. 21 Flow Cytometry Analysis of Intracellular Protein 421 . Dimitrios Kirmizis, Fani Chatzopoulou, Eleni Gavriilaki and Dimitrios Chatzidimitriou . You've just read an article category Biochemistry Genetics and Molecular Biology by title TEXTBOOK : FLOW CYTOMETRY – RECENT PERSPECTIVES. You can bookmark this page URL http://www.openaccessbooks.com/2013/03/TEXTBOOK-FLOW-CYTOMETRY-RECENT-PERSPECTIVES.html. Thank you! No comments yet "TEXTBOOK : FLOW CYTOMETRY – RECENT PERSPECTIVES"